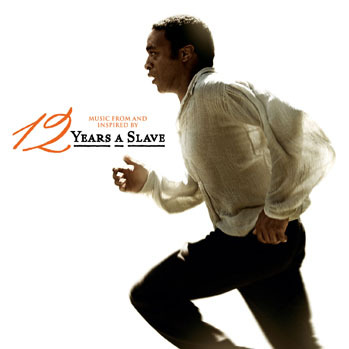 Based on the true story, Solomon Northup (Ejiofor) is a well-respected and happily married father of 2 young children. The year is 1841 and Solomon makes a very decent living as a musician. Overnight he loses everything …. he is betrayed, drugged and shipped south to New Orleans where he is sold into slavery. In the week or so it takes for the sea journey south, every attempt is made to strip these slaves of their humanity and dignity. When they are sold …. in an actual shop…. they are stood naked and poked and prodded as if they were nothing but animals. Children are ripped screaming from their mothers. Families are torn apart. Solomon is sold to a (decent for the time) plantation owner Ford (Cumberbatch). I am loath to describe any person who buys a sells another human being as decent but Ford at least tries to maintain some humanity. Ford’s Overseer Tibeats (Dano) treats the workers poorly and ultimately tries to hang Solomon when questioned about building instructions he issued. Ford sells Solomon to a nearby cotton plantation owner, Epps (Fassbender). Epps is a cruel, cruel man who prides himself on breaking slaves. He barely even acknowledges his slaves as human. He is a disgusting excuse for a man. Epps is in love with a young female slave Patsey (Nyong’o) and this in turn makes his already overbred, uptight wife (Paulson) jealous. In one tense scene, Mrs Epps throws a heavy crystal decanter at Patsey in a fit of jealous rage. She then proceeds to berate her husband and issues an ultimatum. Epps chooses Patsey and yet both are oblivious to the bleeding young girl they are arguing over. Solomon despairs he will ever be free again but he never gives up hope. He does, as advised early on …. he keeps quiet and does not let on that he is educated. One day Patsey returns from a visit to a neighbouring plantation and Epps, who cannot see sense when it comes to her and egged on by his jealous wife, thinks she is sneaking off with someone else. He orders Solomon to inflict the harshest of whippings. I am not quite sure how it all happened as I could only watch bits of this scene as it was so awful. Epps ends up whipping the fragile young girl into unconsciousness. Epps was clearly in love with the girl yet whipped her almost to death. Self loathing turned outward? A cowardly man punishing another for his lust? Just despicable beyond belief. With a slew of awards and nominations already, I think it’s unnecessary for me to comment on the acting or production of this movie. It is perfection. The Director, McQueen does not flinch or shy away from the horrible brutality and screwed up relationships and morality of the time. I am sure it was even worse than portrayed here. This movie is not easy to watch. It is brutal and harsh and my mind and heart breaks when I think of what these people had to endure. As with the atrocities inflicted on the indigenous people of my own country, I am always at a loss for those people …..yes usually white …. who feel they are superior to others and can treat them as less than human. Don’t miss this movie. I have seen some people overwhelmed and some underwhelmed by 12 Years a Slave. But all have been moved. As we all need to face our history and learn from it, we also must acknowledge that human slavery and trafficking is still a very real issue in today’s world. Today more people are enslaved than at any other time in human history. Educate yourself about this trade that IS happening in YOUR country now. Good review. Said it a million times before, so I’ll say it again: Didn’t love this, but I appreciated what Steve MzQueen put up on the screen for us to chew on and think about for day’s on end. Cannot agree with you enough CM. The man is fantastic…..I assume you”ve seen Shame and Hunger?